After a long night of taking in the city’s nightlife, we were in great need to fill our tummies with something delicious and darn right bad for you. Where to? No place better than the East Village’s Crif Dog. Our group joined the crowds of other late night/early morning Hot Dog goers and convened at this notable local spot. Arcade games decorate the side walls with small sitting tables and bar stools. 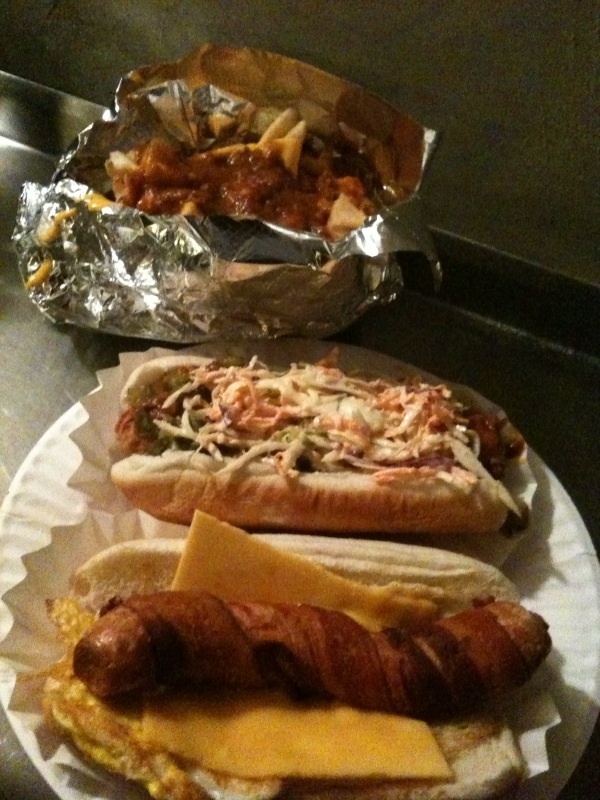 We ordered the Good Morning (Dog wrapped in bacon, American Cheese and a Fried Egg), Spicy Red Neck (Dog wrapped in bacon, Jalapenos, chili, and Cole Slaw), and Chili Cheese Fries. One word to describe our food: A-M-A-Z-I-N-G. Quite arguably the best dog I’ve had in my life. Super hot, peppery, with that great “snap”when you bite into it. The jalapeno, chili and slaw were the perfect accoutrement. 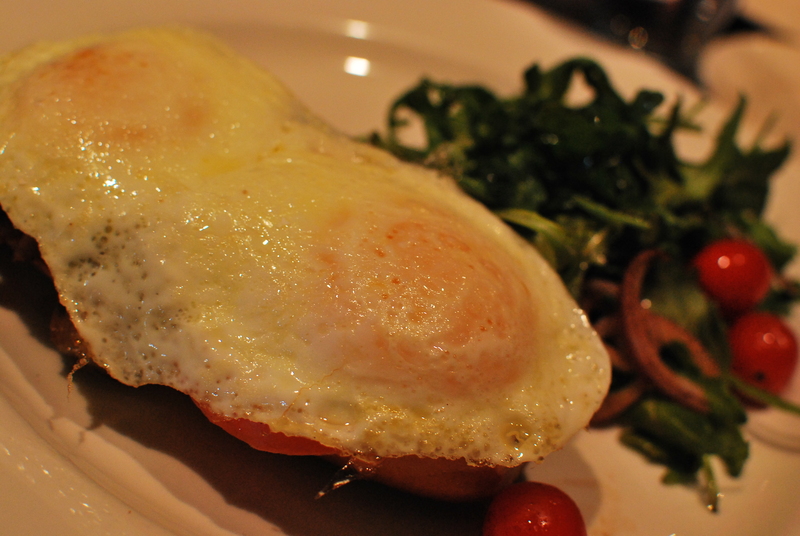 As for the Good Morning, well it’s our philosophy that the fried egg makes anything delish. What most “Manhattanites” know but may not admit is that one can find some wonderful eats in Jersey City for a fraction of the cost it would be in NYC. This held true as we crossed the water to New Jersey to have lunch with some old friends. Per their suggestion we headed over to Skinner’s Loft–a two story restaurant with absolute charming decor and friendly staff. We were promptly seated at an upstairs table in a cozy corner—which I appreciated as we had two little ones with us and needed the room. The menu was quite extensive with EXTREMELY reasonable prices. 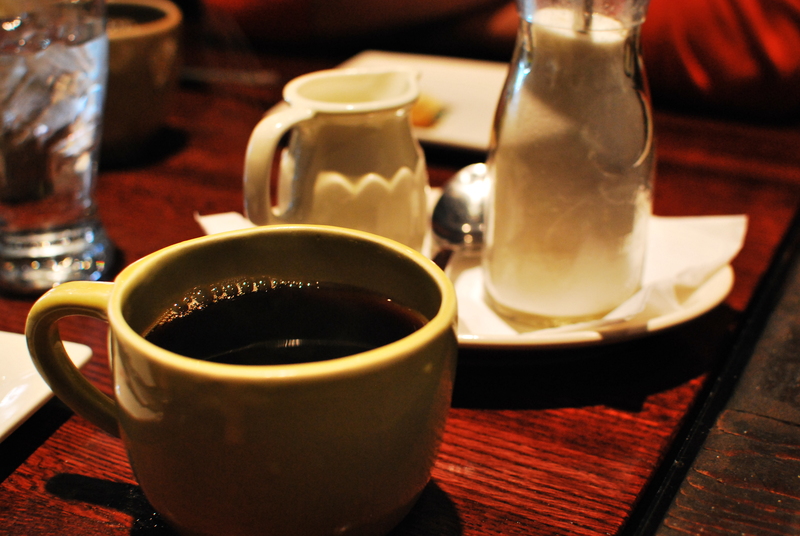 The BF and I split the Fresh Bacon Tartine and Eggs Benedict–and of course, two Bloody Marys. The Fresh Bacon Tartine….where do I begin. They describe it to contain fried eggs, aged cheddar cheese, tomato, fresh bacon, aioli spread on a baguette. Unctuous-meaty goodness with a light acidity from the tomato. 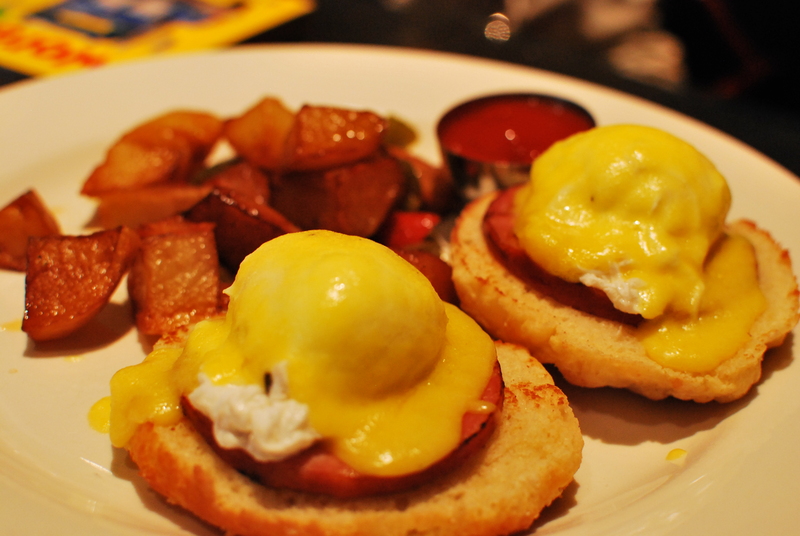 The Eggs Benedict were so delish on the fresh baked biscuit and the hollandaise—OH THE HOLLANDAISE!!!! Creamy but not overly creamy….perfect 🙂 They also served a delectable “pail” of their baked goods—-an assortment of mini-muffins, biscuits and rolls. 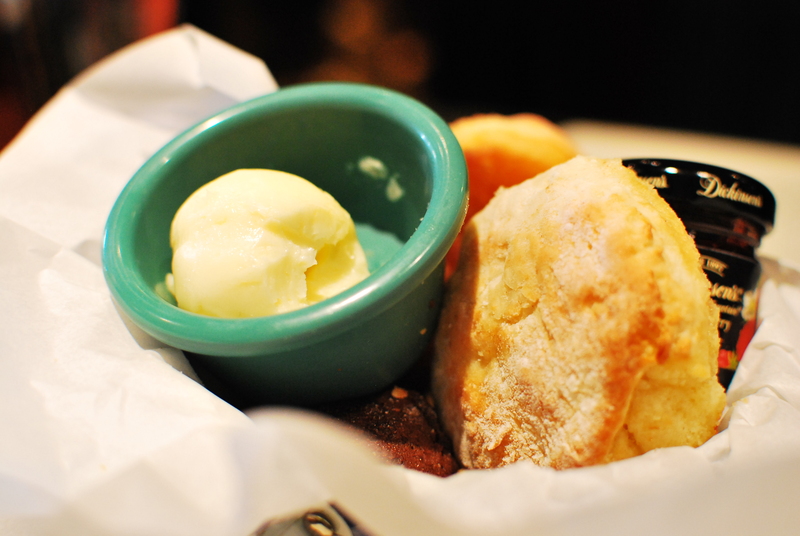 So wonderful with their honey butter and a little bit of jam. 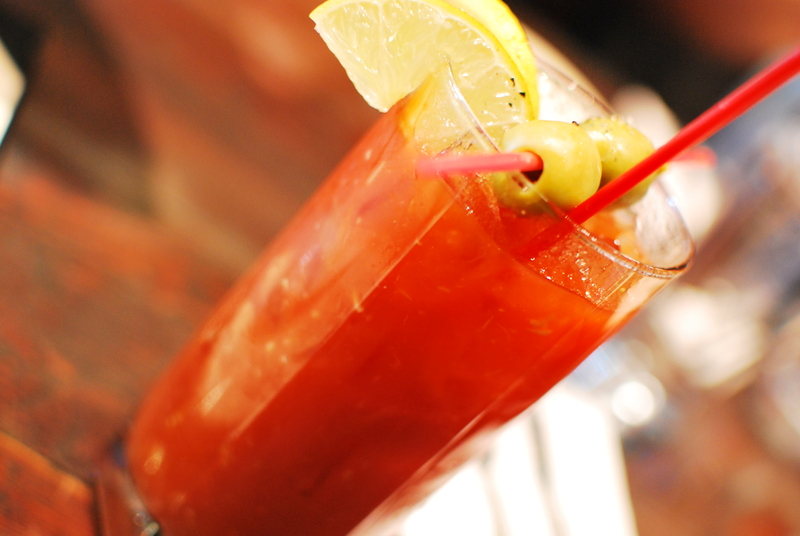 As for their Bloody Marys….easily one of the best Bloody Marys I’ve had at a restaurant which is saying A LOT as a self proclaimed Bloody Mary snob. Spicy, savory, tangy…perfect. On top of everything, I loved the little details and special attention they put on things—-from how the sugar was served in small milk bottles to chocolates placed in a bucket with the final bill. It’s all the little things that count and Skinner’s Loft does it well. By the way….our dishes were only $10 and $12 for the bf and I. You just can’t beat that. 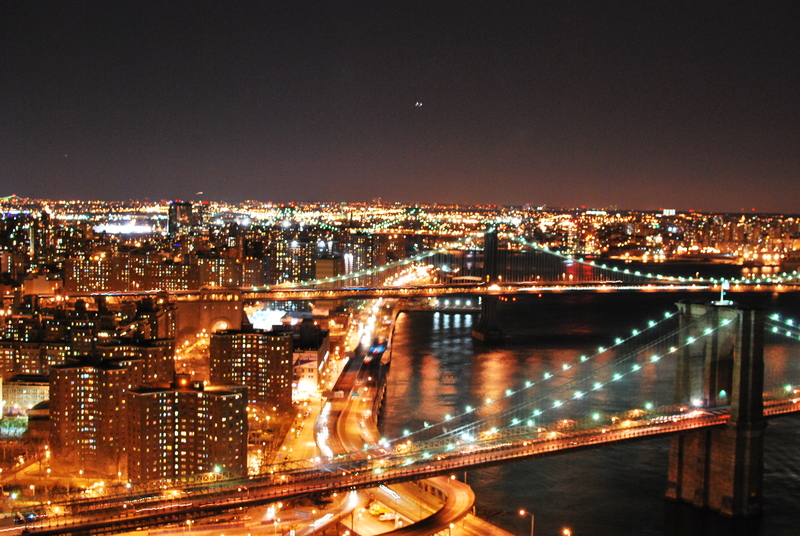 That Jersey City has more to it than meets the eye. Our final meal was at a fabulous Super Bowl Party hosted by friends in their new fabulous digs in the Financial District. Great snackies, finger foods, and wonderful sammies made by the hosts. They also brought in some great Korean Wings and Drumsticks by BonChon–one of the new rages for delish eats in the area. And indeed, they were quite yummy! Surprised that Korean Fried Chicken can be ALL THAT? Don’t be, it really is THAT good. oh…jealousy rears its ugly green head here in the LB. my only solace is knowing that you all are stuck in some serious tundra-like weather back east while i get a beautiful view of the clear blue pacific on one side of my office window, and the snow capped mountains on the other side. Chicken wings look fun, especially on Super Bowl! that just goes to show you how effective your blogging can be. and, why i seem to be perpetually always hungry? Your NYC posts have me swimming with emotion. Brings back memories.